The final concert for the 2016-17 season is really going to make the Pinkham Grand sing! In the early spring of 2015 they have debuted as a piano duo at the Arcus Centre of Culture, Romania where they were also interviewed by Radio stations in the neighbouring city of Sfantu Gheorghe. Notably the duo have performed in London in the RCM, Heath Street Baptist Church, St James's Church Bushey, St. George the Martyr Notting Hill, St. Sepulchre Church, Kensington Central Library, Dartford Parish Church, in Faversham and Brighton, UK and Tokyo, Japan and Albignac, France. They're four hands will perform the entire score of Darius Millhaud's fascinating Le boeuf sur le toit ballet, which is inspired by nearly thirty turn of the century Brazillian popular songs which he collected while serving as secretary to the French ambassador to Brazil. Pianist Alexandra Zlătior graduated with a BMus Hons (First Class) from the Royal College of Music in 2014. Before coming to the RCM to the class of professor Nigel Clayton she studied at the Sigismund Toduţă Music High School with Lia Negru and Daniel Goiţi in Cluj, Romania. She has played numerous concerts in the UK in venues such as the Southbank Centre, V&A Museum, Charlton House and Waltham Abbey, but also internationally, in France, Greece, Japan and her native Romania. She made her concerto debut at the age 16 with the Sigismund Toduţă Music High School Orchestra in Cluj and in 2013 she performed under the baton of William Carslake with the Imperial College Sinfonietta in London. While still studying in Romania she has won prizes in a number of prestigious competitions such as Viva la Musica, JS Bach Festival and George Georgescu International Competition. More than just following a solo career Alexandra is interested in pedagogy, being awarded the Licentiate of the Royal Schools of Music Teaching Diploma by the ABRSM, with distinction, in 2015. Guiding others through the wonders of music is now almost a daily delight. In addition, while at the RCM, she studied harpsichord with Robert Woolley and composition with Alison Kay. From September 2015 she has returned to the Royal College of Music to study on a Masters of Performance Science course for two years. Her main topics of interest are education, performer's health and the enhancement of health and well-being through music. Nathan Tinker graduated from the Royal College of Music in 2011 where he studied with classical pianist Gordon Fergus-Thompson, jazz pianist Mike Moran and composer Jonathan Cole and now spends most of his time as a freelance performer and teacher of classical and jazz piano, instrumental and ballet accompanist. His accompanist experience takes him from local music festivals, conservatoire auditions all the way to the University of Roehampton where he accompanied a variety of dance styles. He has performed in prestigious venues such as the Barbican Centre, St. Martin's in the Fields, St. James Piccadilly, the Royal Albert Hall and Wigmore Hall. Since 2012 Nathan has been working with English National Ballet's Dance for Parkinson's program which was featured on ITV in 2015 and later joined BalletBoyz Parkinson's Can Dance class in Kingston. Nathan also performs with eclectic jazz band, Arrietty led by Harmonica player Philip Achille and together have recorded their first album. 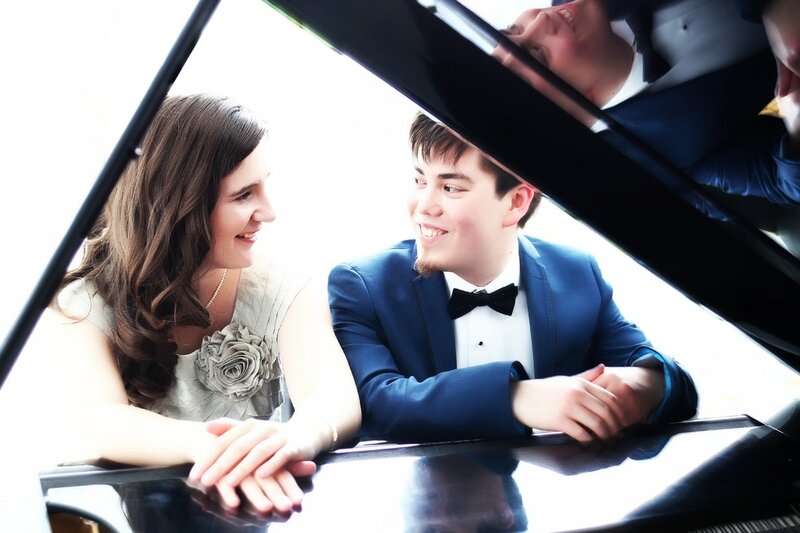 In addition to this, since 2011 Nathan works with fellow pianist and his wife, Alexandra Zlătior performing as the Passepartout Piano Duo where they perform for communities, charities around the UK and are a part of Live Music Now. Outside of the UK he has performed in Corsica, Italy, Spain, his native Japan and most recently debuted in Romania. From September 2015, Nathan has started attending the Guildhall School of Music and Drama as a Masters of Accompanying postgraduate student while being kindly supported by the Help Musicians UK Richardson's Award in 2015 and by the Help Musicians UK Postgraduate Award and Guildhall School in 2016. He is the winner of the Guildhall Accompanist Prize in 2016. In December last year, he appeared in Spitalfields music festival City Heart Beats, to raise money for the charity Hearts in Harmony.